Home Smartphone Review Microsoft could still have a lot to say on mobile, Surface Phone in sight! Microsoft could still have a lot to say on mobile, Surface Phone in sight! Satya Nadella, CEO of Microsoft ago, said that his company “clearly we failed with the mobile phone”, implying that the company seemed to give up on the battle to focus on other areas such as cloud and services. However the history of Microsoft in mobile could not have finished yet: the discovery of a project that can run native Windows 10 applications on the ARM platform gives a new twist to the events. We may have to wait a year, but the Surface Phone and super Continuum vitamin are closer than ever to get. 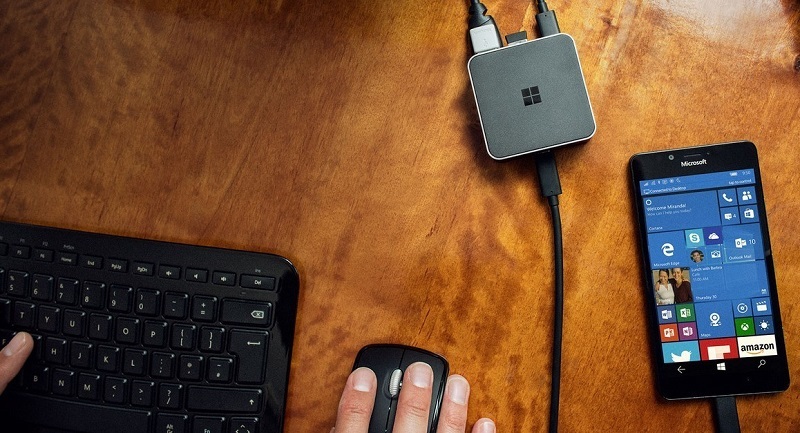 Continuum seemed a fantastic invention : getting a mobile or tablet could have that chameleonic behavior and exchange between a “mobile mode” and a “desktop mode” we definitely approached the idea of convergence. Microsoft offered a demonstration of that concept with the Lumia 950 and XL 950, but that platform proved to be still a little green. At last we could use your smartphone as a PC, but the experience was not complete: we were limited by a still developing system that mostly had no universal applications, developers have not been encouraged to provide for the (damn) vicious circle Of technology. If manufacturers do not release some interesting models users do not buy them, and if users do not buy the developers do not want to invest in that platform, which makes manufacturers not take out new models. With Windows 10 Mobile has happened something similar, despite the virtues and promises of the platform, supported by manufacturers, users and developers has been very poor. There have been only a device clearly highlighted in this sense, the HP Elite x3, but since its appearance has not been much news in this area … so far. However, the discovery of the “Project Cobalt” gives us hope. Emulation is the secret ingredient, and the key is that developers will not have to do anything to make their applications run on Windows 10 Mobile, because the emulator will make them run on processors based on the ARM64 platform that currently dominates the segment of smartphones. You may also like to read another article on Lab-Soft: Is the mute button one of the best kept secrets of Apple in its iPhone? There are some requirements, such as the fact that the device in question has 3.5GB of RAM (or more), and apparently processors offer support for this project are the Snapdragon 835 future that will make their appearance in mobile probably the second quarter of 2017. The dates coincide, because it is expected that Windows 10 ‘Redstone 3’, the next major update of Windows 10, appears in the third quarter of next year. That makes us think of a possible Microsoft event in which the company would officially present this project. Not only that , you may also launch its own Surface Phone with high – end devices from partners like HP, which seems very involved in this effort. Some believe that if they exist, these devices would actually arrive in 2018 and not in 2017, so here we will have to be patient once again. We will continue to be in the mobile segment not as defined by market leaders today, but only what we can do in what is the most definitive mobile device. Nadella added that after buying Nokia stopped doing things that were a “me-too” and began to do things that “even if they are now on a smaller scale, are very focused on a very specific set of customers who need a specific set of Benefits that are differential and with which we can do a good job “. The head of Microsoft seems to point therefore to products like the HP Elite x3 are very business – oriented and professional users who can take advantage of this convergence offered by Continuum. That emulation would also make it possible to offer cheaper convertible tablets and notebooks based on ARM processors and compete with Chromebooks, for example. The Project Cobalt could not be in fact the only ace in the sleeve of Microsoft: Windows Central speak of two other designs engineering of Microsoft that could have an “astronomical” impact according to their editors, although they cannot give details about them for now. One of them, aim, it is closely related Continuum, and although none of the three projects could eventually see the light eventually, yes left one thing clear: Much that Microsoft could still have a say in the segment Mobile. We hope and wish it to be so.